If you follow me on any of my social media channels, you’ll know Ulta Beauty is my all-time favorite store to purchase beauty products from (can’t wait for their 21 Days of Beauty!). 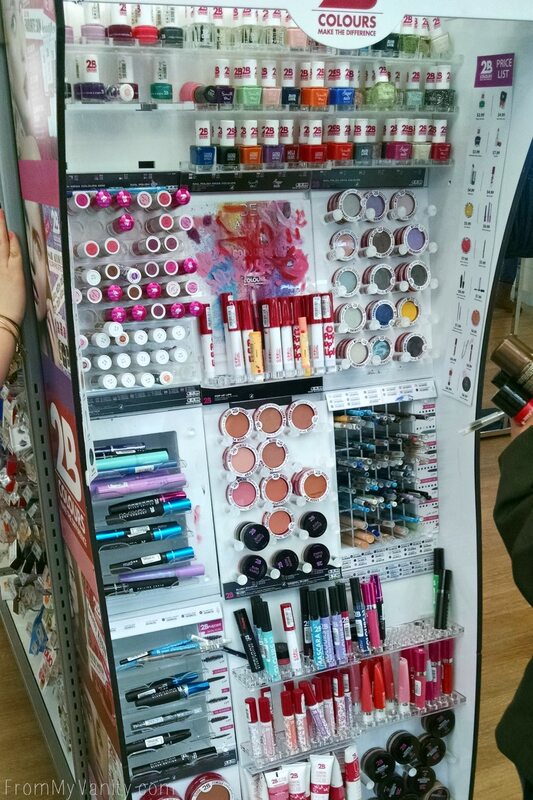 I’m always dropping in, whenever I can, to see what new products they have and while I had thought that 2B Colours was only available online at Ulta.com, I saw this display at my local store. So while they do have all their products available online, you might also be able to find it at your local store! 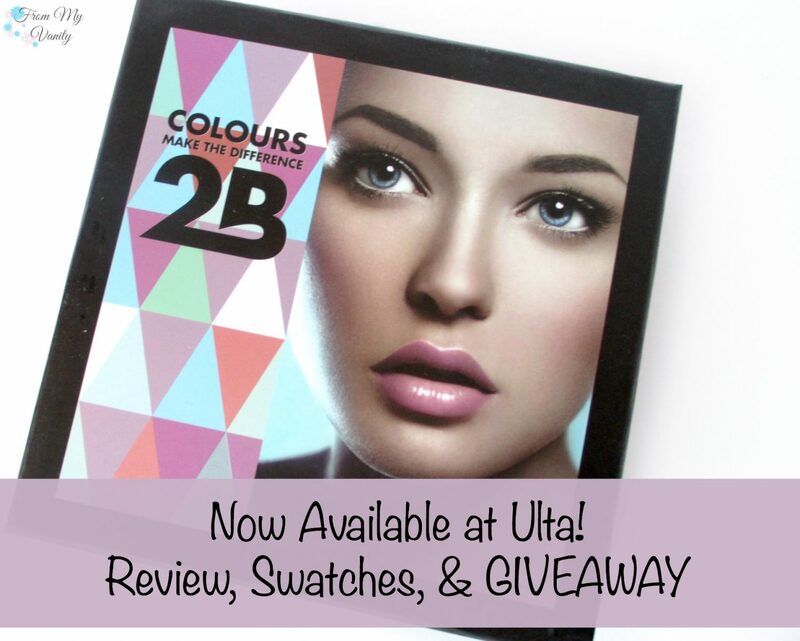 Do you have 2B Colours at your Ulta? Here’s a birds-eye view of all the products I received. In a cute little box, too! The nail polish I will not be reviewing today, since I wanted to stick with all the makeup products. I have used it once before, though, and it’s decent. Hard to apply, but looks cute. 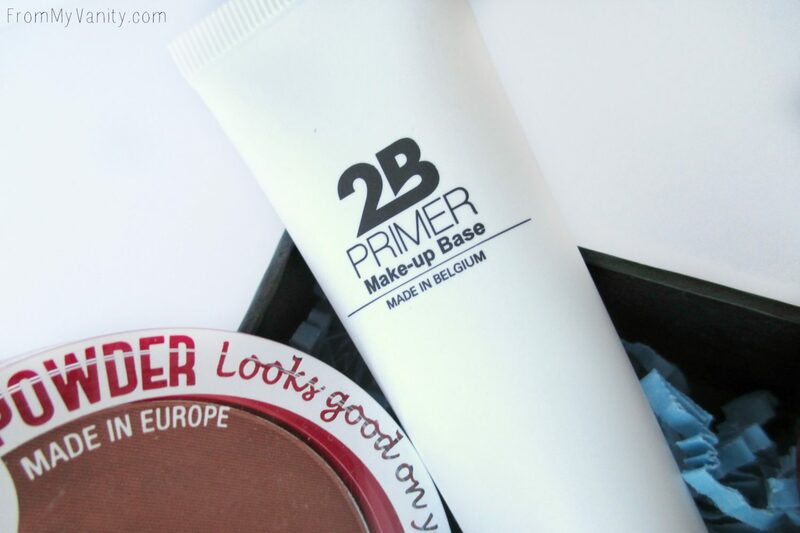 Make-Up Base Primer — The consistency, when squeezed out, looks like a silicone primer but when you start smoothing it over your skin it turns to feeling more like a moisturizer. It dries down completely without any tackiness. I like it most to smooth out my pores but it does help prolong the wear of my foundation. If you have oily-prone skin, though, this won’t help keep the oils away. Concealer Correcting Waterproof Stick — $1.99 — In short, I didn’t like this concealer. It definitely isn’t the type to use under your eyes, but it felt too greasy and didn’t blend out smoothly when I used it to cover imperfections. Because of the greasy feel it doesn’t hold up very long, either, so while it’s very affordable I would say to pass on this one. 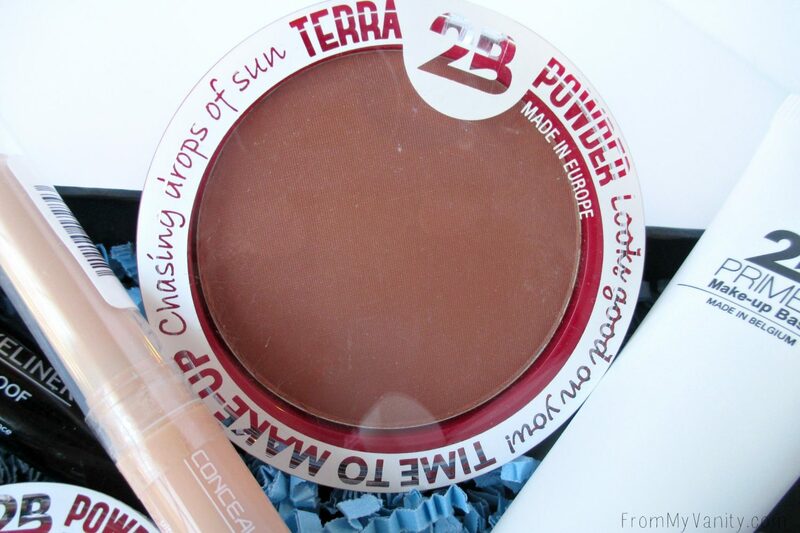 Time to Make-Up Terra Powder — $2.29 — This is a very warm-toned bronzer that appears to have a little glitter in it, but it shows up as a pretty sheen on the skin. It’s nicely pigmented and works beautiful as a bronzer, or even a blush. I have a light-medium skintone with yellow undertones and on those natural days I like using it as a blush. Blush Cheek Pop — $1.99 — It feels very creamy when I’m swatching it and shows up nicely on the cheeks. While it’s nicely pigmented, it isn’t so much so that you have to be careful to use a light hand. 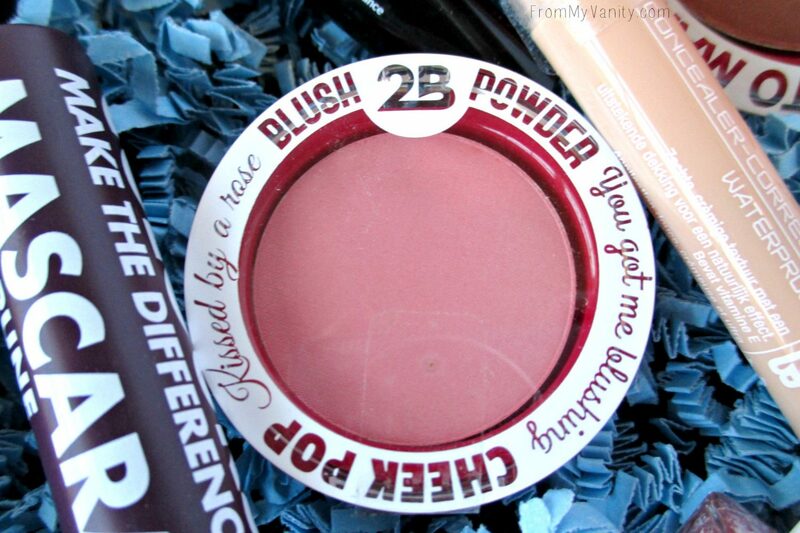 For the price, this is the perfect blush for a beginner. 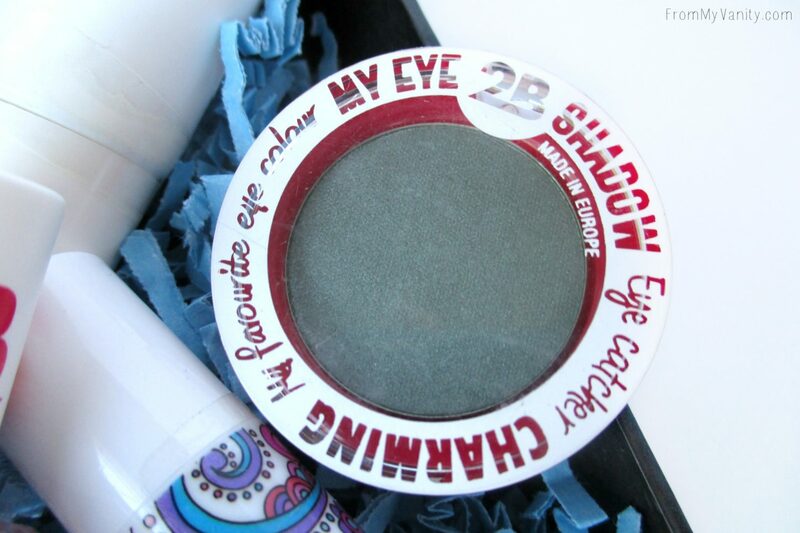 My Eye Shadow — $1.49 — You know I love my eyeshadows! 🙂 And this eyeshadow is great, in my opinion. 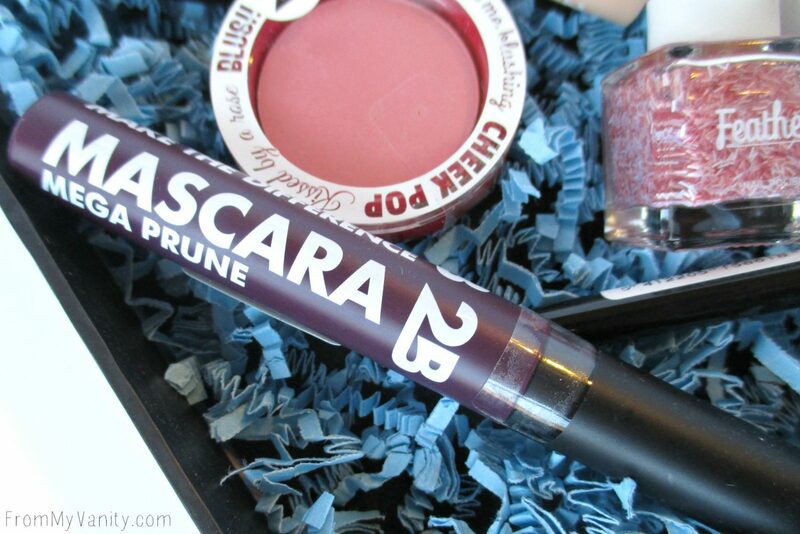 It’s pigmented, soft, and shows up beautifully on my eyelids. 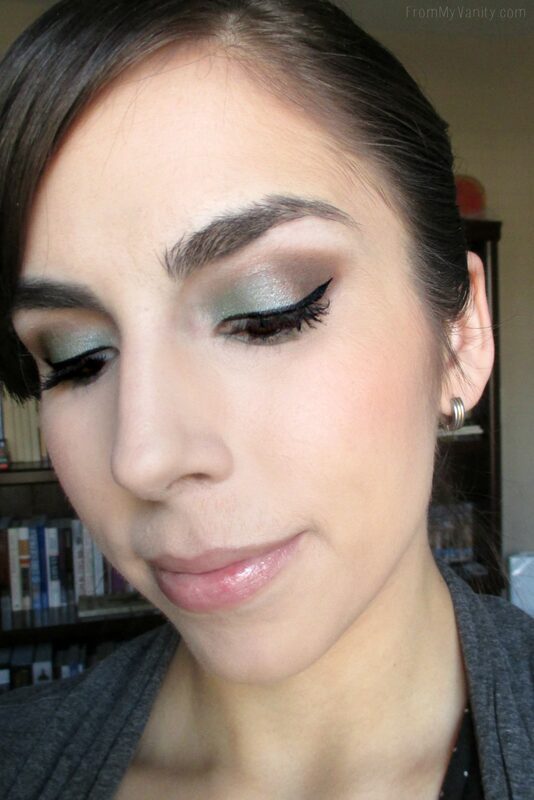 In the picture above I used the shadow — in Dark Green — all over my lid and just used a matte brown on the outer corner. I didn’t use any Fix+ or eyeshadow base underneath the shadow, and it showed up nicely. 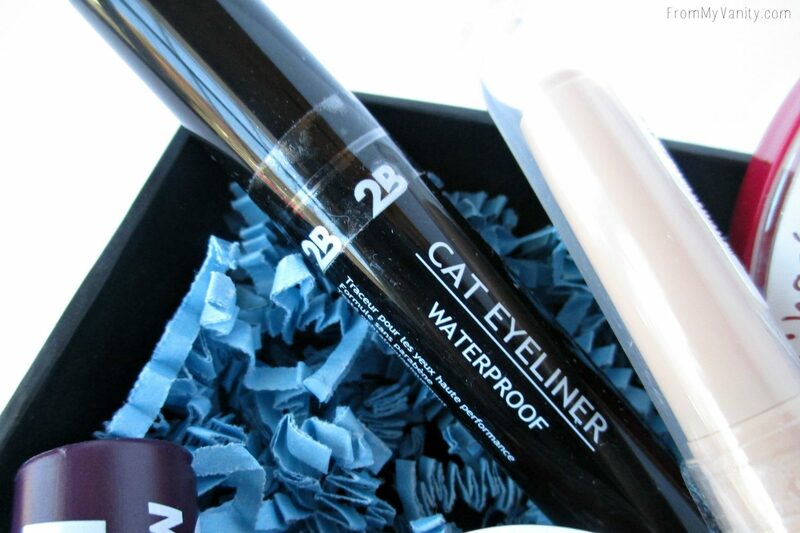 Cat Eyeliner — Okay, I’m going to admit right up front that I didn’t think I was going to like this product. The felt tip was very large and the pen was short and fat. It just didn’t seem like it would give me the kind of winged liner that I like. But! Actually, it worked out very well! It was easy to apply and dries down to a nice, dark, matte black. I really, really like this product and recommend it! Especially on the days when I want a wing but am short on time. Eye Liner Retractable Waterproof — $1.99 — Another very black eyeliner that goes on very intense and sets pretty well. 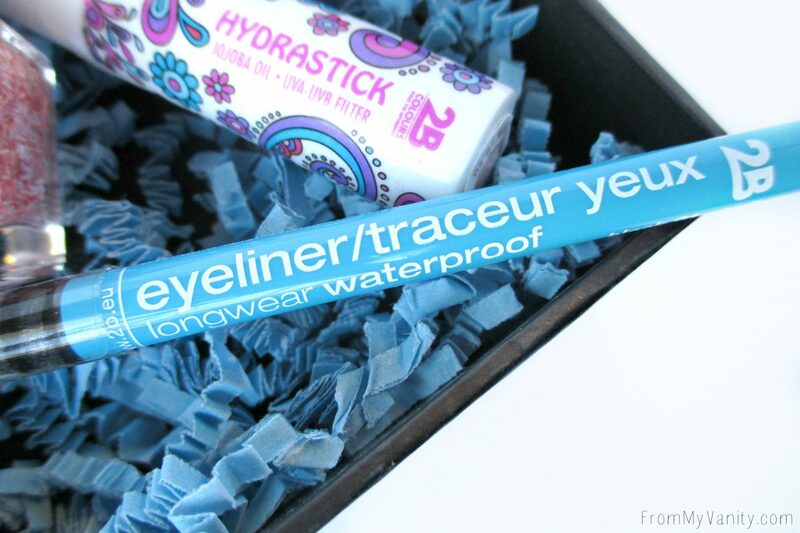 I have pretty watery eyes, so any type of eyeliner has a hard time staying in my waterline. 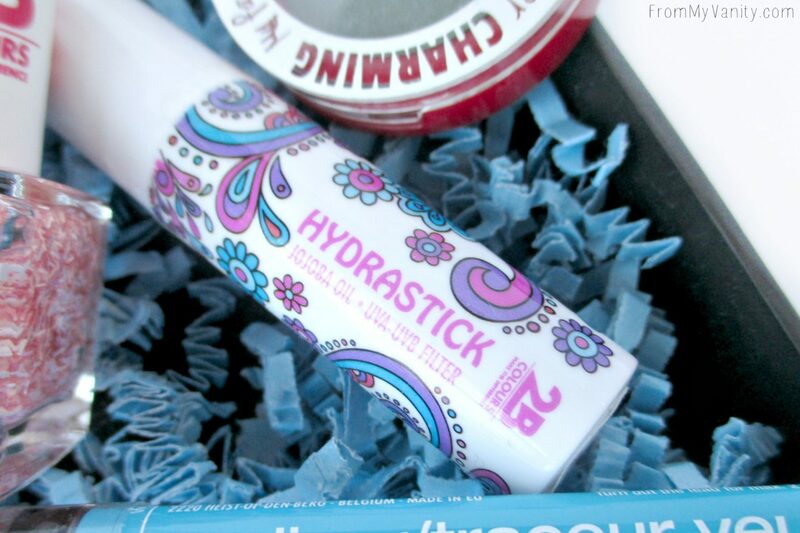 But this one works fairly well and stays in my waterline for several hours before it starts to smudge and disappear. Mascara Colours Make a Difference — $1.99 — Another product that was a dud for me. I’m not a fan of different colored mascaras and the brush on this mascara was too fat for me. It clumped all my lashes together and they didn’t look right even after I used another regular mascara on top. Here’s a row of swatches from all of the products — except the lip balm. That wouldn’t show up. 🙂 As always, the powders were swatched on bare skin twice. The liners I passed over my skin twice as well. 🙂 Isn’t the pigmentation pretty great?! 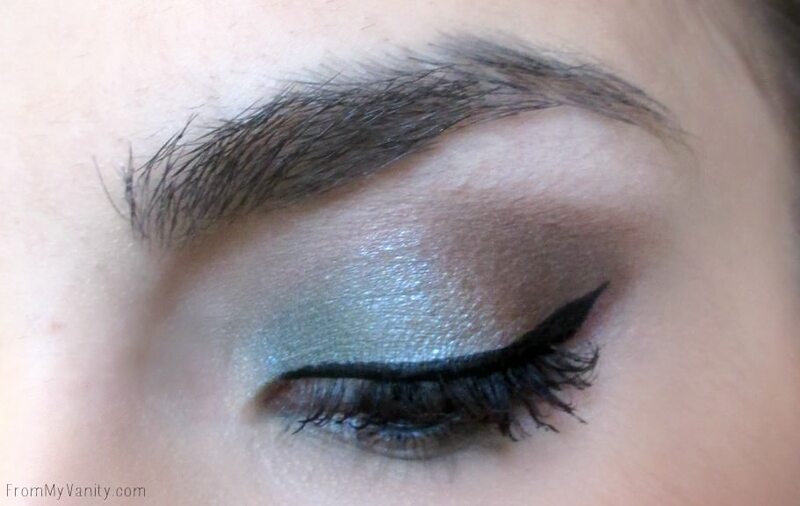 Above I used all 2B Colours products to create this makeup look. of course I had to bring in foundation and mascara from different brands, but everything else is 2B Colours! What do you think? 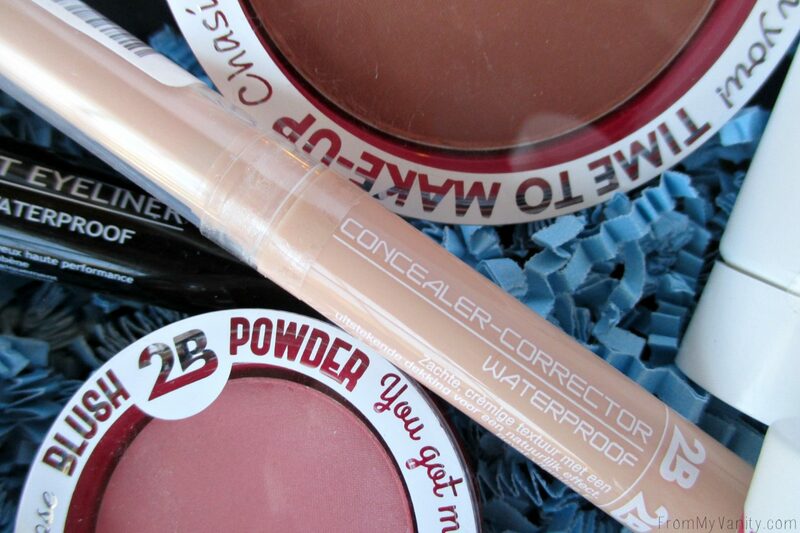 Have you tried any 2B Colours products? Let me know what I should try next! Or if you haven’t tried anything from them before, do any of the products above spark your interest? If so, enter the giveaway form below for a chance to win! I received the products mentioned above as PR samples. It was not required that I feature them on my blog. All thoughts are 100% my own. Some affiliate links are used. Thank you for your support! These aren’t available at my Ulta yet, but they are always behind with getting new products in. This looks like an awesome, inexpensive brand. I’ll definitely keep an eye out for it! Wow, I’m surprised at how dark and pigmented the retractable eyeliner is! I really like the eyeshadow look you did, too. I’m a sucker for a green and brown color combo. Beautiful look, Katie! I love those two eye shadows together! I haven’t seen 2B at my Ulta yet, but I’ll keep my eyes open. It’s looks like they have great stuff. I haven’t been to Ulta in ages, so this is totally new to me. All the products look really fun, it’s a shame some were duds, but at least the prices were low. The eye look you did was great! Same here! I want to try more eyeshadows! This is so awesome! I can’t wait to check this brand out! I like the look of the cat eyeliner. I prefer palettes to little pots of eye shadow. Yeah, I hear you, I’m not as big of a fan of singles, either. But I just bought a few Zpalettes and depotted some singles, so I’ve found that I reach for them more often now. I was just at Ulta last night. Sadly, I doubt mine will ever have these things. Aww, sorry girl! Maybe some day! Haven’t heard of this brand before..great review! Thank you! If you see it at your local order, do check it out.